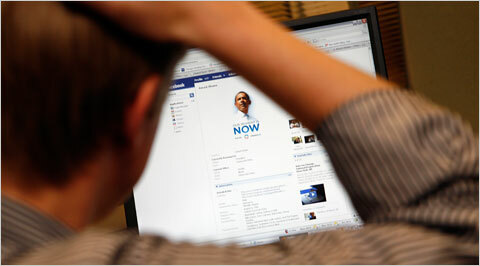 Barrack Obama loves the internet. It's his favorite weapon, and also his deadliest. During the run-up to his campaign in 2008, he deployed a group of internet-savvy data crunchers to collect and assess vital information about the public, to attack and to defend, and to promote his campaign. The Pakatan Rakyat (PR) coalition in Malaysia did the same and almost ousted the Barisan National (BN) government in 2008. So can they emulate Obama and win the general election (GE) this time around? Firstly, we must understand that the war is not won yet. A lot of us facebookers are city dwellers. We have access to social media, forums and a menagerie of anti-government newspapers. Blogs and forums are the most commonly-used platforms to broadcast information which would otherwise be censored in mainstream media. We have access to literally tonnes of blogs and facebook pages that gleefully list the wrongdoings of the BN government and the child-like mentality of their MPs. The internet watches their every move--Ng Yen Yen, Chua Soi Lek, and even the almighty Dato Sri Najib could not escape the onslaught of angry netizens. Blinded by this illusion of dominance, one can be forgiven for thinking that PR is going to win this GE easily. But wait until you visit places like the orang asli village and remote places in Pahang, Sabah, Sarawak. There is none, and I mean totally zero opposition presence(flag) within 2km radius of the area (in this case, an orang asli village near Sungai Pulai). The orang asli lives a carefree life. A majority of them don't care about corruption, and they certainly don't care who's in charge of the nation or anything beyond the village boundary. All they care is their own livelihood and food and money. Why care about corruption when you can't even secure your meal? And any opposition leader who thinks that jumping straight into the community to educate them about the state of the nation can make a difference is dead wrong. The orang asli village I visited in Johor is an MCA stronghold. Even after 56 years of independence, these people are still living in houses smaller than most of our public restroom in the capital. The inequality in terms of education and salary is enormous, and I'm sorry to say that they can be easily manipulated. I easily requested an orang asli to pose a thumbs-up at a pro-BN newspaper. And BN has now brought in banglas--I don't know how true it is, because what we have so far is just a few photos and two videos circulating like wildfire on facebook, the former can be easily manipulated using photoshop, and the latter can be set up with the right amount of money, so it would be wise to be cautious not to throw wild accusations--to vote. If the bangla story is true, then I can imagine BN sending them all across the country into hot areas in order to win--they need not win by a huge margin, but just enough bangla votes to get a win. So these banglas can be further dispersed to more areas to help out, because winning by a small margin is still a win--it's the number of seats that counts. So by winning more seats, albeit by a small margin, can still guarantee BN another 5 years. And let's not forget the hundreds of Felda land all across Malaysia whose inhabitants live in conditions almost synonymous to the orang asli's. It's going to be really close. Definitely much tougher than you can ever imagine. BN targets poor area, PR targets city-urban area. May the more sincere side wins. BN targets poor/village areas, PR targets city/urban areas. Who do you think will win the GE13?